Fall weather means time for stew. A rich, satisfying Guinness Beef Stew is a perfect dinner for chilly November, when evenings grow darker, and the body seeks comfort food. This is Irish comfort food at its best. My recipe for beef stew cooks slowly in a crockpot for many hours, allowing its distinctive flavors meld together. I call this American-Irish fusion food, since very few Irish people have ever laid eyes on a crock pot. Once I discovered this amazing kitchen appliance, I became a fan. My husband now calls me “The Crockpot Crackpot”. Prepare the vegetables by cutting the parsnips into strips the same length as the baby carrots. Cut the potatoes into quarters or eighths depending upon the size of the potato. I leave skins on red potatoes. I think they add texture and flavor. I use a package of pearl onions rather than dicing a large onion and pre-frying it. My husband does not like the texture of onions, so when I use pearl onions I can easily remove them from his serving, without having to sacrifice their delicious flavor. Dump all of the vegetables into a crock pot. I use a large 7-quart crock pot for this recipe. If your crock pot is smaller you will need to halve the ingredients. Season the flour with salt and pepper in a shallow dish. 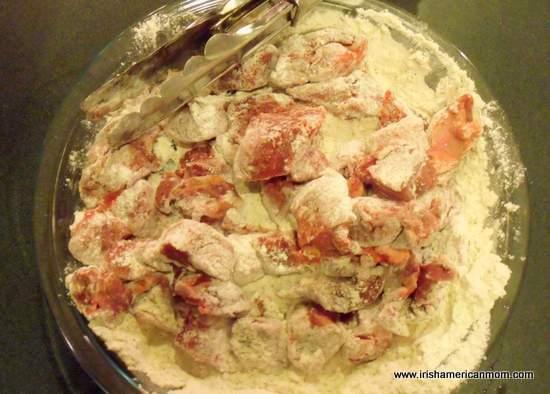 Toss in the beef and dredge in the flour, coating each individual beef chunk. Heat the oil in a large skillet. Add half of the beef and brown on all sides. This takes 2 to 3 minutes per side, sealing in all the lovely juices and beef flavor. Dump the beef on top of the vegetables in the crock pot and repeat with the second half of the beef. Pour 1 cup of beef broth into a small measuring pitcher. Add the red wine vinegar and dijon mustard. Mix well together. Brown the garlic in the same pan as used for the beef. I use pre-minced garlic in oil from a jar, but feel free to peel and mince fresh garlic cloves. 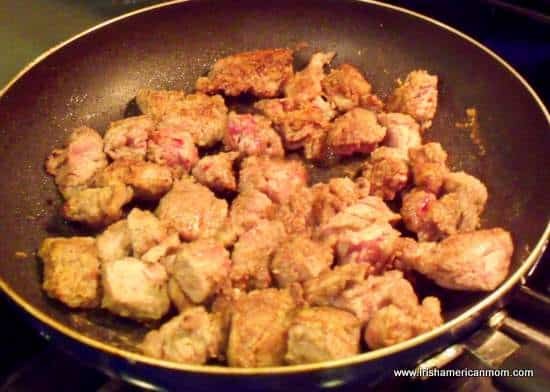 Next, pour in the broth, vinegar and mustard mixture, stirring to lift any pieces of beef or garlic from the bottom of the pan. Heat for one minute while stirring. Pour the mixture over the beef and vegetables in the crock pot. Add the thyme, bay leaves and ground cloves to the crock pot mixture. Add the Guinness to the crock pot, together with the beef stock and water. You can leave out the water and substitute with an additional cup of beef broth, but I find a little bit of water, prevents the flavors being overly intense. 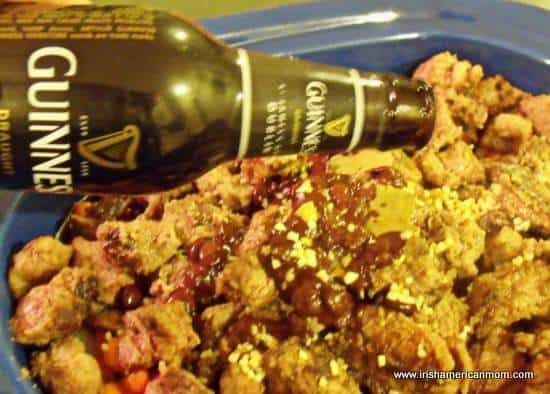 I do believe Guinness is the only option for this stew, unless you live in Ireland and can get your hands on a bottle of Murphy’s stout instead. Any American dark ales or stouts lack the distinctive flavor of Irish stout. Rest assured, the folks at Guinness have never heard of me. I am just Irish and love the flavor of real Guinness in this stew. Put the lid on the crock pot, and simmer on the low setting for 10 to 12 hours. I know this is not a very accurate time measurement, but all crock pots are different. The stew is done when the vegetables are tender. Check the potatoes too. They are the last to fully soften. Try to avoid lifting the lid of the crock pot too often during cooking. When heat escapes, cooking time is extended. 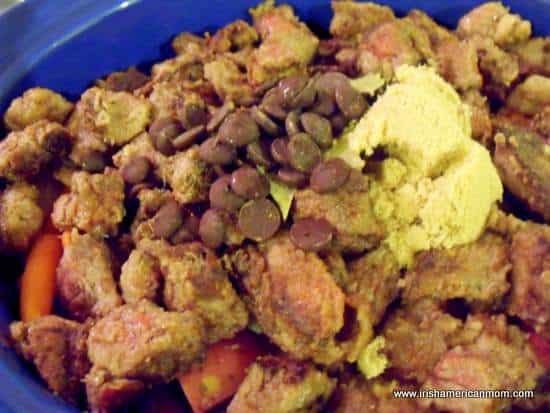 When the meat and vegetables are cooked through, mix 2 tablespoons of corn starch with about 1/4 cup of cold beef broth. Make sure the broth is cold, since hot liquid will make corn starch clump. Mix them well together, ensuring the liquid is smooth. This stew can be thickened with regular flour in stead of corn starch, but I find it takes longer to fully cook the added flour. 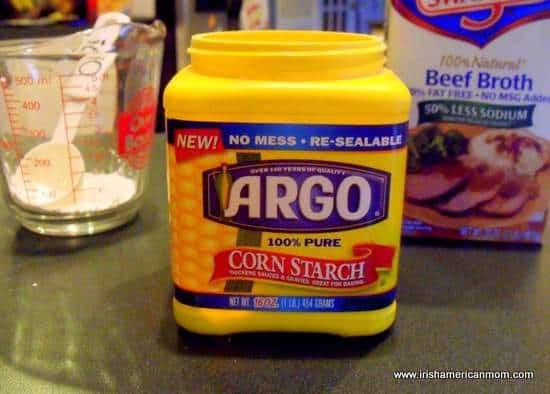 I much prefer corn starch, for easy thickening. Add the blended corn starch and broth to the stew in the crock pot. Mix well and let heat on high for a further 20 minutes. Stir occasionally during this time. Don’t forget to remove the bay leaves before serving. Ladle into a large bowl. Guinness beef stew is delicious accompanied by Irish Brown Bread. This stew is lick your lips good. It tastes even better a day or two after cooking, so it is perfect for left overs. It also freezes really well. Here is a printable version of this recipe. Step 1 Peel and julienne the parsnips into 2 inch long pieces to match the length of the baby carrots. 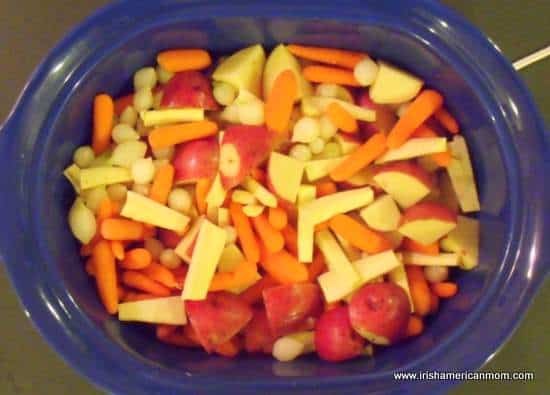 Add the pearl onions, baby carrots, parsnips, and potato quarters into the bottom of the crock pot. Step 2 Season the flour in a flat bowl and dredge the beef chunks. Step 3 Heat the oil in a large skillet. Add the floured beef cubes and brown them on all sides. You may need to complete this in two steps depending on the size of your skillet. Step 4 Remove the beef from the pan and add to the crock pot. Add the garlic to the skillet and brown for one minute. 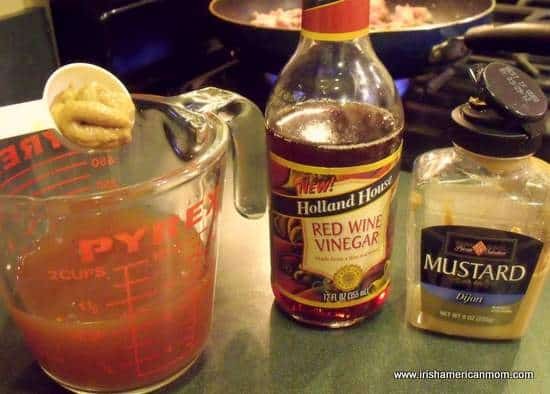 Step 5 Mix 1 cup of the beef broth with the red wine vinegar and dijon mustard in a small pitcher. Pour into the pan, scraping the bottom to loosen any beef or garlic. Step 6 Add the stock from the skillet, the additional beef stock, water and Guinness to the crock pot. Step 7 Add the thyme, bay leaves, cloves, brown sugar and chocolate chips to the crock pot. 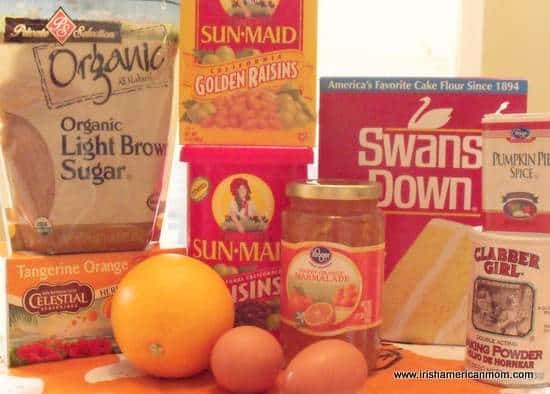 Mix ingredients together. Step 8 Place the lid on the crock pot and cook the stew on low for about 12 hours. Try not to lift the lid of the crock pot too often during cooking, since this can allow the heat escape and slow down cooking. The stew is done when the vegetables are tender. Step 9 Put the corn flour in a small pitcher or bowl and blend with 1/4 cup of cold beef broth, making sure the mixture is smooth. Turn the crock pot to high and add the thickening. Season the stew according to taste at this point. Cook for an additional 20 minutes to allow the stew to thicken. Stir occasionally. Step 10 Remove the bay leaves and discard. Serve in a large soup bowl. Tastes great with Irish Brown Bread. Happy crock pot cooking and enjoy. Click here for other recipes you might like. Oh my, must try this recipe!! I can get Murphy’s Stout up here, should I just go for it?? People from Cork would only ever make a Murphy’s stew. You are lucky to be able to get your hands on it. Hope you enjoy your Irish Murphy’s Beef Stew. I made this for my St. Patrick’s day party last year. It went really fast, I didn’t even get any. So this year I ‘am going to make more. I also did about 30 pounds of brisket which I made my own corned beef. I know its not Irish more American, did half with cabbage and vegetables and the other half smoked as everyone here loves. I may try the stew this year with lamb as I love lamb. Thanks for your recipe. Its a big hit here in New Mexico. This looks perfect for the cooler weather days we’re having. Thanks for sharing. I worked with your husband just before Thanksgiving and he told me about your website and your stew recipe. I made it today. I think it took me two hours from start to finish before everything was cooking and all the dishes were put away! It smells sooo good!! We eat in one hour, can’t wait! Tell your husband, “Hello” and Thank You for telling me about your website. Doug, Good to hear from you. I hope your stew turned out well. I just discovered that our printable recipe app was down for probably for a whole day and we didn’t notice. I hope it wasn’t an inconvenience to you or anyone else. Looking forward to seeing you at work again. MMMM I just made this and it was delicious! So glad you enjoyed this stew, Vanessa. It tastes even better the second day – perfect for leftovers. It’s a great recipe if you plan to cook once, and eat twice. Hope you enjoy this hearty stew. 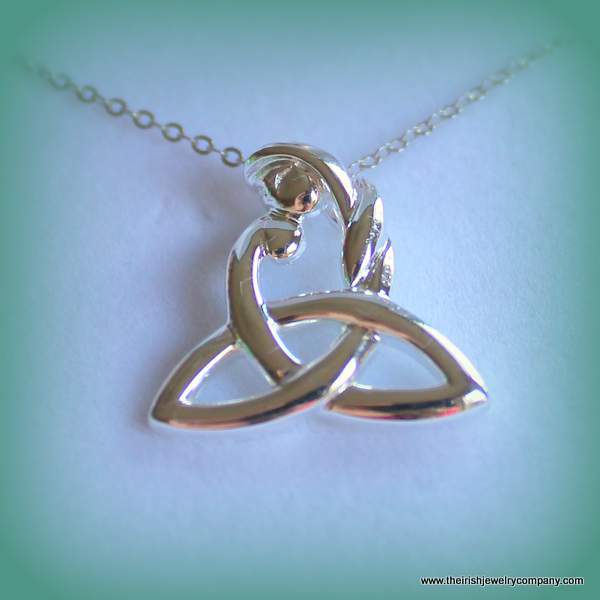 This looks so good, you know I have been jonesing lol I will break down and have this on on celebratory girls night! Melanie – St. Patrick’s Day will be the perfect occasion for Guinness Beef Stew. It’s on a Saturday this year, so I’ll be cooking. Some great recipes I look forward to trying, thanks for posting with such detail and great pictures. George – Thanks for visiting. I am so glad you liked all the recipes and pictures. Hope you enjoy some Irish food, with an American twist. I just came across your website and the Irish Stew recipe. Looking forward to trying it in a few weeks for St. Pat’s! Amy – I hope you enjoy your stew on St. Patrick’s Day. It’s lovely with some brown bread. Hope you have a great time on the day. Thanks for stopping by. 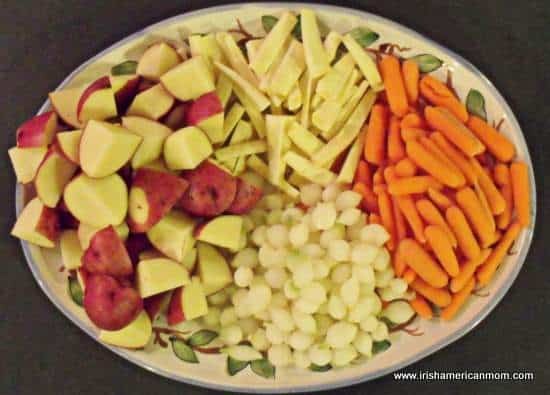 We have friends coming over for St. Paddy’s on Saturday night and I was looking for an interesting Irish stew recipe – I think I found it – thanks!! 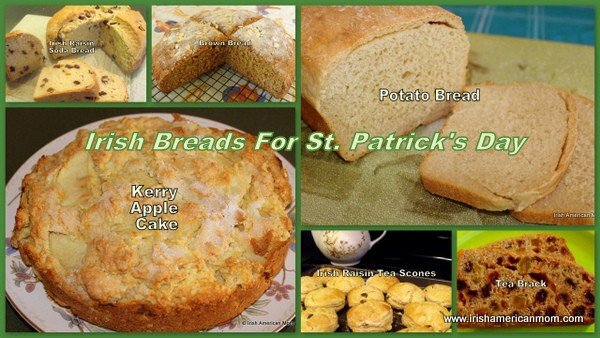 I was also looking for a good Irish bread recipe so you killed two birds with one stone for me. Quick question – how do the vegetables hold up after being cooked for 10 hours? My experience with other crock pot dishes is that they can get a little mushy. Thanks and looking forward to making this dish – I’ll let you know how it turns out. BTW – I’m a Brit living in Boston (been here since 1999) and I can certainly relate to your stories of first arriving. Initially on a contract for two years and in a blink of an eye it’s been 12!! A great experience (and adventure) so far. David – I like to use baby carrots because I find they hold up best in the crockpot. I choose the bigger ones, rather than the really tiny ones. I also use pearl onions rather than slicing an onion, and these hold up really well during the long, slow cooking process. The parsnips are at the greatest risk of breaking apart. Slice them about the same size as the carrots to help limit this as much as possible. Hope you all enjoy your stew on St. Patrick’s Day. I’ll be cooking it too. It looks like your two years in America have transformed into twelve years in the blink of an eye. I now have spent more time in America than I ever did in Ireland. Boy how time flies! Sorry, I meant to post sooner than this, but I wanted to let you know that the stew was a big hit with everyone!! Beef was tender and flavorful and the veggies came out great. It was a touch sweet for me, but next time I’ll just use either the chocolate or the brown sugar. I also made the brown bread which is fabulous. I’ve always shied away from making bread, but this is a great (and easy) recipe. In fact I made it again last night and we had it with grilled salmon and cous cous. Anyway, just wanted to let you know and thanksnformsharing these great recipes. David – I am delighted to hear you enjoyed my stew and brown bread recipe. Thanks so much for posting your feedback. It is always lovely to hear that others enjoy my Irish recipes too. Best wishes to you and your family. Just made this and let it cook in the crock pot over night. Delicious hearty stew, with a nice tang to the broth. The veggies cooked down perfectly and aren’t mooshy at all. Bringing it to a St. Patty’s day party today, I’m sure it will be a hit. Thanks for the recipe. Great – its been cooking in the crock pot for the last 4 hours – it’s starting to smell great. Serving it tonight accompanied by Mairead’s Irish brown bread recipe. Will post on how it goes. David – I hope you enjoyed your stew and had a great evening with family and friends. Matt – Glad to hear you like this hearty stew. Hope you had a lovely time celebrating with friends and family yesterday. Made this yesterday, we had a friend over the watch Carolina play in the NCAA tourney. The stew was a big hit, and I’m sure it will be even better tonight! Tastes just like stews I’ve had in Ireland. 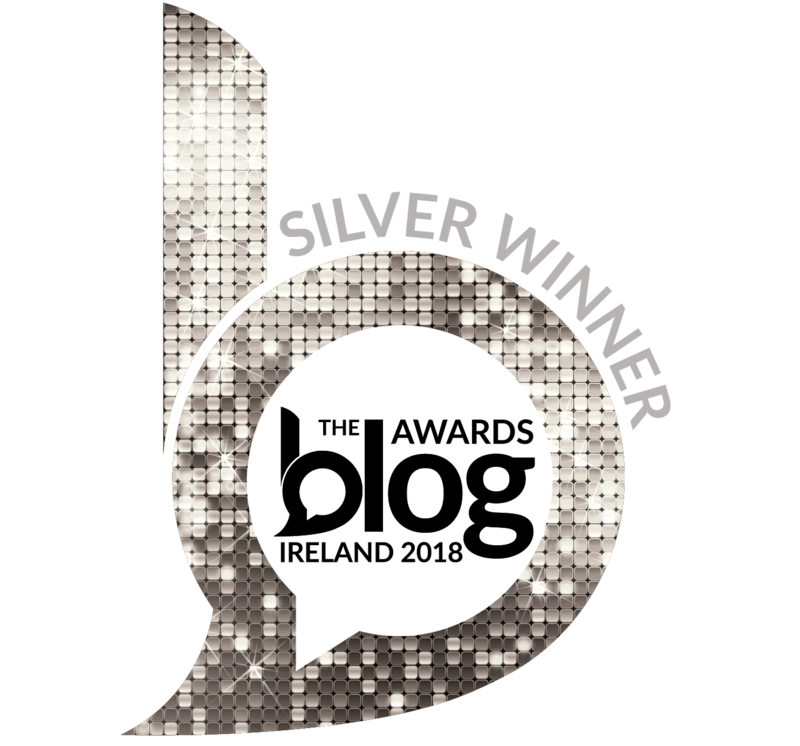 Now my husband favors Murphy’s but it wasn’t to be found around here…..
Lovely to hear such nice feedback about this stew recipe. It will definitely taste even better the second night. I can’t get Murphy’s in Kentucky either so I have to stick to Guinness too for all my cooking. So glad I found your website as we just returned from 2 weeks in Ireland where my husband fell in love withGuinness Beef Stew and Irish brown bread. With all of the positive comments on both of these recipes I will be shopping for all the ingredients tomorrow! Can’t wait to taste and surprise my husband with these dishes. So glad you found my website too, Barbara. Hope you enjoy this stew and my brown bread. Using chocolate in a stew is very Mexican, not Irish, but I find it is the perfect way to counteract the slightly bitter taste of the Guinness. Hope you had a lovely time in Ireland. Crockpots may vary but generally, one hour on HIGH is approximately equal to 2 to 2-1/2 hours on LOW. So 10 to 12 hours on LOW should require 4 to 5 hours on HIGH. Beef cuts are better cooked on LOW for a more tender texture, and the flavors of this stew will meld together better during the longer cooking time. However, it will still taste wonderful if cooked for a shorter time on the higher setting, and the leftovers will be even better the next day. Hope your friends all enjoy this stew. Have a wonderful time together. I made this last week and it was AMAZING!!! Hubby said this is the ONLY way to make it from now on! I have to admit that I used more Guinness than recipe called for and I’m not sorry! LOL. Thanks so much for sharing this recipe. 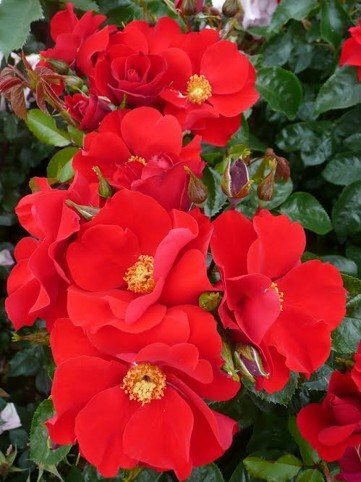 Rose – Thank you so much for letting me know how much you enjoyed this recipe. It is always lovely to get such great feedback. I made this yesterday. I halved the recipe because I am not the best cook and I am known to follow a recipe to the T just to have leave me less than impressed. I am happy to say that this was so very delicious, and now I wish I’d made the full recipe! I’ll definitely be making this again. Thank you! 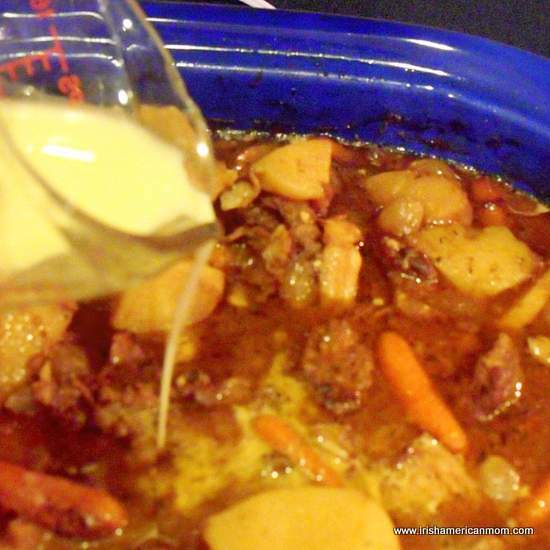 Carla – Thanks so much for letting me know you enjoyed this stew. The full recipe is quite big, but leftovers taste great. The flavors seem to mature overnight. Just made this today, and it turned out really well. Thanks for posting the recipe. It’s great on a cold night, and of course with bread to dip in it as well. I look forward to making it again for my friends. I’m not the best of cooks, but found this very easy to make. Never knew how awesome crock pots could be! Chris – I love my crockpot. It is so nice to come home after a long day to the lovely smell of a stew or a roast cooked and ready in the crockpot. So happy you enjoyed this stew. It is a regular winter menu item in our house. Hello! This recipe looks awesome. I wonder… have you ever tried it with lamb? I much prefer lamb to beef, in general. 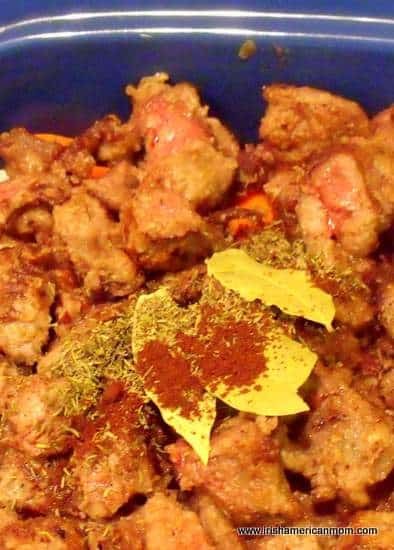 Patti – I have never tried this stew with lamb. I always worried the Guinness would overwhelm the flavor of the lamb. Perhaps I should try it some day to truly know. If you give it a go with lamb, please let us know how it turns out. OK, Mairead… I think that will be my weekend experiment. I’ll keep you posted! Keeping my fingers crossed it will be a great success. This sounds wonderful but we don’t use alcohol. Is there a substitute for the Guiness? Or could we leave it out? How much will that effect the flavor? 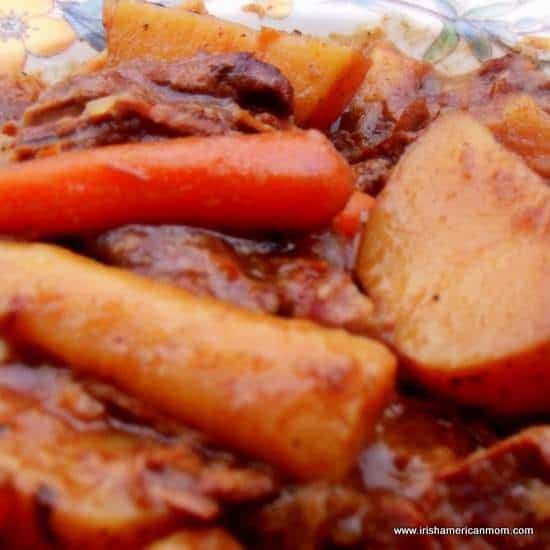 Hi Ruthanne – Guinness provides the main flavor for this stew. Chocolate chips and brown sugar help to counteract any bitterness from the Guinness. When the stew is cooked little if any alcohol remains, since alcohol burns off as it cooks, and this stew simmers for a very long time in the crockpot. However, you may not even wish to purchase alcohol. There is no non-alcholic substitute for Guinness. I don’t believe non-alcoholic beers would work out. Their flavors can be very bitter and would do little to enhance this stew. I will work on a regular Irish beef stew recipe sometime after Christmas to share on my blog. I have quite a few Christmas recipes planned for the coming month, but January will be a perfect month for soup and stew recipes. Thanks so much for stopping by. I have been making a similar stew for years, I am interested to try the chocolate chips, I add prunes to the stew for the last 30 minutes of cooking time and that does the job of counteracting the bitterness of the Guinness. I am making it this week and will try the Chocolate and compare. I also use sweet potatoes (just personal preference). Joe – Adding prunes is a great idea to help counteract the bitterness of the Guinness. Thanks so much for the tip. Sweet potatoes is a great idea too. I’ve made it with rutabaga (or turnip as we say in Ireland). Hope you enjoy this stew and have a lovely Christmas. I’ve been cooking in the crockpot for all the Notre Dame football games this season. I’m not breaking the ritual for the national championship game. So I’ll be making on this on January 7 when the Fighting Irish play for the national championship! Go Irish!!!! I hope all your football fans and Fighting Irish supporters enjoy this stew. Go Irish is right! We’ll be watching them here in Louisville too. Made this last night and I must say it was excellent!!!! Thanks so much for letting me know you enjoyed this stew. Best wishes for 2013. I made the stew last night to allow it to cook through the night. When I woke up this morning I realized it was on the high setting instead of the low setting. It’s been cooking for 7 hours. I turned it down but the veggies and potato already feel cooked through. Any suggestions? Do you think it will still be ok? Add the cornflour and then once it has thickened I would turn it off, Elyse. Since the liquid is pretty hot, it will thicken quickly. It definitely is cooked after 7 hours on the high setting. I hope it is still ok. The stew was DELICIOUS. I had a bunch of friends over to eat, one of which is here from Galway. He absolutely loved it. I passed the recipe along to him. We also made his mothers brown bread recipe. Perfect Sunday eats! 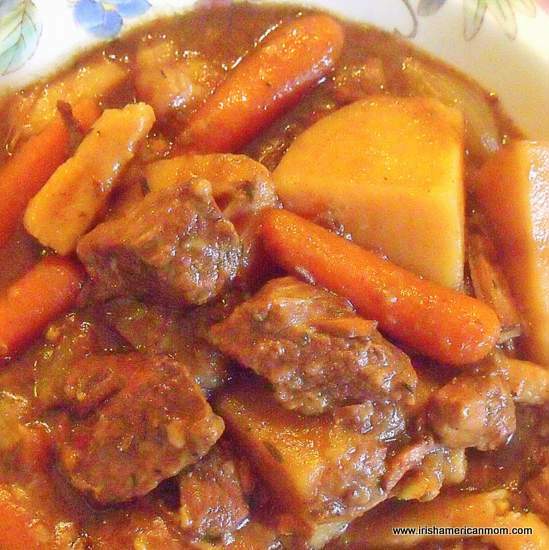 Elyse – I am so glad to hear your stew turned out well and that all your guests enjoyed it. Your Galway friend’s seal of approval is much appreciated. Thanks so much for checking out and testing my recipe. Thank you for a wonderful stew recipe. I tried it out yesterday in anticipation of our St Patricks Day party in a few weeks, and it is awesome. Even my picky 6yr old liked it. Can’t wait to make it for the party and share it with friends. Tonight we had the leftovers and it did taste even better! Lisa – Thanks for taking the time to comment and let me know this stew was a success in your house. Approval from a picky 6 year old is high praise indeed. Hope all your guests on St. Patrick’s Day will enjoy it just as much. Will be trying this for the parade tomorrow morning! Comments look fantastic. Thank you so much for posting! Hope you enjoy this stew. It’s a good hearty meal and perfect for after the parade. 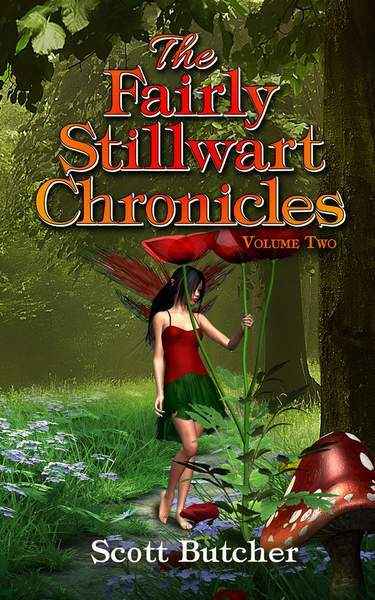 Shawn – So happy everyone enjoyed this stew. Have a great week celebrating St. Patrick. I made this last night for our Admin St. Patty’s luncheon we had today and it was FANTASTIC!!! I followed your recipe exactly except for once in my life I didn’t have any bittersweet chocolate chips so I used a little less than a 1/4 cup of Hershey’s unsweetened Cocoa and it turned out WONDERFUL…next time I make it I will make sure I have the bittersweet chips on hand…thanks again…LOVED IT!!!! Wendy – Thanks so much for your seal of approval for this recipe. I’m sure the unsweetened cocoa worked just as well as the bittersweet chocolate chips. I would like to make this recipe for Sunday. I would also like to serve over mashed instead of having the potatoes in the stew. Would I have to change the amounts of any of the ingredients or just omit the potatoes and keep everything else the same?? Thanks for the wonderful recipie!! Hi Jason – If you decide to leave out the potatoes you could add some diced rutabaga instead, or just simply leave them out. If you do I would cut back on the liquid added since the potatoes do soak up some of the broth. Perhaps just use a 1/2 cup of water instead of a full cup. Hope this works out well. Enjoy this hearty stew as you celebrate St. Patrick. Making this stew tonight with a co-worker for our St. Patrick’s Day party at work. 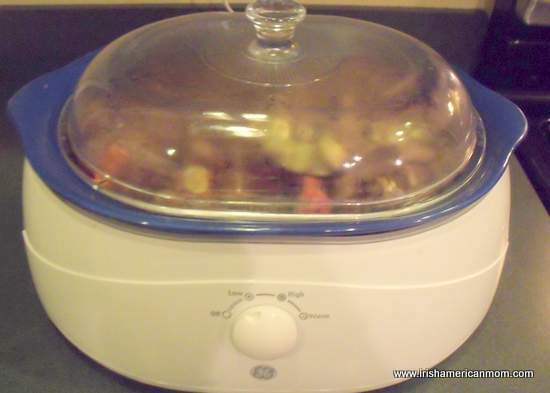 Crock pots are fabulous for potlucks at work and the great thing is I will set it to start before bed and it will cook overnight and it will be perfect for the first lunch of the day tomorrow. Sounds fabulous….I’ve sent my co-worker running to the store for chocolate chips as I type this! And funny…my husband HATES onions because he doesn’t like the texture either. Dawn – So funny your husband hates the texture of onions too. Hope all your co-workers enjoy this stew tomorrow. All the best and happy St. Patrick’s Day. It was a success!! Crock pot for 12 hours on low baby….everyone at work LOVED it, said it was the best stew they’ve had in their lives. SUCCESS!!!!! I even ended up having it again for supper with my sister, husband and brother in law as we had tonnes left over. It was even better re-heated. Thanks Dawn. “The best stew they’ve had in their lives” – that’s high praise indeed. Thanks so much for letting us know this stew was such a hit with your coworkers. I agree with you about stew left overs. The flavors really meld together and taste even better the second go round. Maureen – Wishing you and yours a very happy St. Patrick’s Day too. I hope the sun shines in Ireland. Looks like we’re going to have a rainy day here in Kentucky. I made this tonight for a St.Patrick’s Day / birthday diner. It was enjoyed by all 8 of us! I added extra beef and veggies to increase how many it would feed, including rutabaga. Unfortunately this meant it wouldn’t fit in my crockpot so I cooked it in the oven, 300 degrees for 3 hours. It turned out great! Served it with colcannon and soda bread. Thanks for posting this recipe, i will definitely make it again. Jennifer – I am delighted to hear everyone enjoyed this stew. It must have been especially delicious with colcannon and soda bread. Happy St. Patrick’s Day to you and yours. Made the stew today. Omitted the chocolate chips and used Guiness. I was raised on Grandpa’s Irish stew (straight from Kilarney) he added dumplings with raisins. I omitted them and followed your recipe to the letter. It was fabulous. The tartness of the red wine vinegar coupled with the delicate sweetness of the brown sugar was perfection. The family loved it. Left wondering how it might mate with lamb in place of beef. Have you ever used this recipe with lamb and if so any twists to ingredients? Thanks for sharing your recipe! 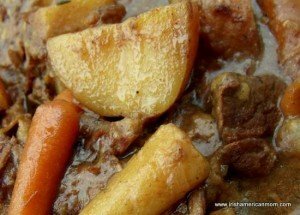 Dan – I’ve never paired lamb with Guinness in this stew, since I am always afraid the bitter flavor of the Guinness will overwhelm the lamb. I wonder if a lighter beer would work in a lamb stew instead. I must experiment some day. My husband is a great guinea pig for my trials, errors and successes in the kitchen. Glad to hear you count this one as a success too. Best wishes, and thanks for stopping by. This was Fantastic! Very easy recipe and delicious! Did not last long at my house. Thank you so much! So glad you and your family enjoyed this recipe. I made this tonight for a good and hearty meal and to suprise my girlfriend who talks about how good the stew was in Ireland. I’m hoping to knock her socks off with this tomorrow when its done. I don’t think I could really go wrong with this. Thanks for the wonderful recipe! Hope this stew is a big success. Great for Sunday Football. Thanks!! Glad you enjoyed this stew while catching your favorite teams. Diane – So glad you enjoyed this stew. Thanks for your feedback. Planning on making your recipe and have a question about the chocolate chips. It’s about all I didn’t get. Is there something else I could try besides them? Or is it best to use it to cut bitterness? 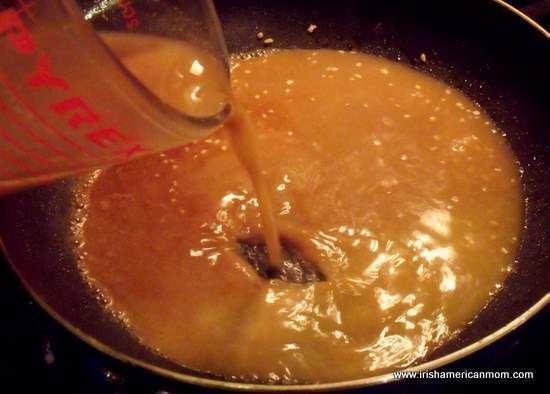 Sheila – You can use an extra tablespoon of brown sugar instead of chocolate chips to help cut bitterness. It should work just fine. Thank you . I never thought of that. I’m hoping to take a photo and share. And hear’s to hoping that the family will like. I prepared all the ingredients, then realized my Crockpot would only hold half of the recipe – can you tell me how to adapt the other half for stovetop cooking please? Have a lot of people coming over today and could appreciate the advice! I am making this for the first time tomorrow. The only thing I forgot was the brown sugar. Wish me luck! Dianne – hope you enjoy this hearty stew. If it tastes a little bitter add some white sugar if you need too. Should be fine. Happy St. Patrick’s Day. Dianne – hope you enjoy this hearty stew. If it tastes a little bitter add some white sugar instead of brown, if you need to. Should be fine. Happy St. Patrick’s Day. two crockpots. I also added cabbage, since my husband loves it. We did sneak a taste an hour ago, and it was wonderful. The beef just fell apart. Going to make hot biscuits too. Thank you for this wonderful recipe that I plan on making again and again. Glad you like the flavor of this stew. Thanks so much for letting us know how it turned out. Have a wonderful St. Patrick’s Day. 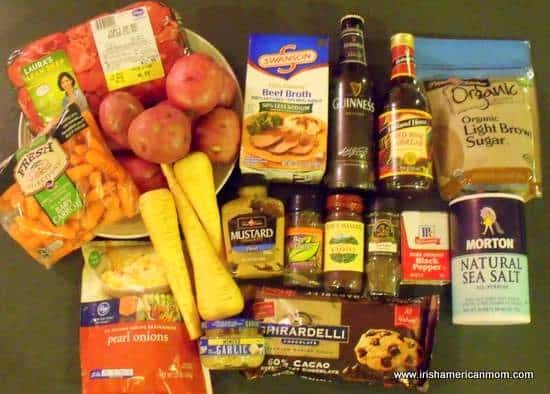 I am making this Irish Stew recipe as I type this. Today is February 10th. I am making this stew in 3-batches, to feed 30, well before St. Patty’s Day, Mar. 17th, when I have 30 women coming over for a true Irish Supper. I’m making the recipe exactly as written, and will keep it frozen for a month. A day before party day, I’ll take the 3 frozen bags of stew out of the freezer, to defrost. I’ll transfer the three bags to a party-sized, oven-proof casserole, and on party day, warm it in a pre-heated 200 degree oven, covered, until the desired temperature is reached. Here’s the kicker: I have ordered 30, 6-ounce sized bread bowls from my local supermarket’s bakery shop. I will hollow each, by hand. Each guest will have her stew served to her on a square white dinner plate, in a small bread bowl…with Irish Champ (mashed potatoes with spring onions), on the side, and a swoosh of whole-grain mustard smeared onto the plate and a sprig of Italian Parsley to represent a shamrock, as a garnish. I own a mini-Shamrock cookie cutter, and I used real Irish Butter (chilled) to cut pats into the shape of 4-leaf clovers… to go with the mini-Irish Cheddar cheese biscuits I plan to serve in a green basket on the table. Frances – I admire your organization skills, your pre-planning and follow-through. You are a brave woman hosting 30 ladies for your Irish supper night. I hope it is an amazing success. Thank you for sharing such an incredible recipe! My irish husband has always sworn his mother made the “best beef stew” and now, 13 years of marriage later he took one bite of this stew and declared it the best stew he’s ever eaten! This Guinness beef stew was “off the hook” ! Made this for our March birthdays party, one of the birthdays being on St Patrick’s day! Everyone raved! I will definitely make this again, would not change a thing. Did not need thickening in the end, it was perfect! Thank you!!! This sounds lovely and really tasty. Thank you for sharing this. Thanks Simon. It’s a very tasty stew alright. Hello Mairead. I do not own a crockpot. How can I adapt this amazing-looking recipe to a regular stockpot? Do I have to use a cast-iron Dutch oven or will a metal stockpot be OK? What setting on the stovetop and for how long??? Also, would any of the Scottish Ales suffice? We have a fairly amazing liquor and spirits store (called Toast appropriately enough) here in Augusta, Georgia, that carries a large variety of beers and ales. Thank you so much for this recipe; can’t wait to try it. Hi Mary Lou – This stew will cook well on the stove top and a metal stockpot should work just fine. Cooking it slowly on low heat is best. I would simmer it for about 2 and half hours on the stove top until all of the vegetables are tender. A porter or stout works best for this recipe, since this beer has a distinct taste like molasses. Scottish ales are different to porter, but there are other types of porter available other than Guinness. There’s Murphy’s stout and if you ask the staff in Toast they may be able to recommend a Scottish stout. I hope you’ll enjoy this stew when you try it. Hello- I am making your receipt tonight to serve tomorrow night! My question is after I cook it, how long should let it cool before I stick the stew and how do you recommend I re-head it before my guests come over? Thanks for the recipe- so glad I found it! Hi Kelli – you’ll need to let it cool for an hour or two to come close to room temperature before putting it in the fridge. To reheat you can return it to the crockpot and heat on low for about an hour. Every crockpot has a different output so you may have to increase the time if your one has a very low temperature. Another option is to preheat the oven to 350 F and heat it for 30 to 40 minutes until warmed through. Hope this helps and enjoy your get together tomorrow with your friends. Wondering if I should use Guinness Draught or Guinness Extra Stout in this recipe? Thanks! Hi Holly – Either kind of Guinness will work just fine. Use whatever you have on hand. Enjoy this hearty stew. Hope you have a lovely St. Patrick’s Day. Hi I tried to cook this last night but woke up with the top shattered into the dish -_- . Going to remake it now , but there’s definitely not enough time for 10hours on slow. Would it turn out the same on Hi? And for how long do you think would be best? Hi Jmaile – So sorry to hear you had a crockpot disaster, and that your stew got ruined. It will cook fine on high – probably will need about 4 to 5 hours. The flavors won’t be as mature as if the stew had cooked for longer on slow. If you are worried about getting it cooked on time – you could pop it in the oven in an ovenproof casserole for about 3 hours at 350 degrees F.
I hope this helps and happy St. Patrick’s Day. If it tastes as good as it reads, then it should taste really good! I just wish that I had the cooking facilities to cook it! Glad you like this recipe Jeff. Best wishes for a very happy Christmas.